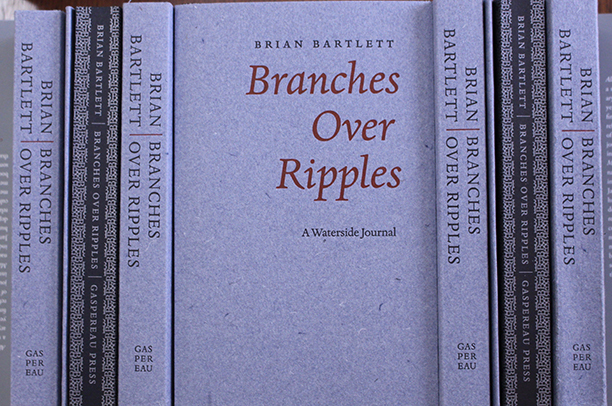 Join Brian Bartlett on Thursday, December 7 at 7 PM at Westminster Books (445 King St. in Fredericton NB) as he launches Branches Over Ripples: A Waterside Journal, a follow-up to his Ringing Here & There: A Nature Calendar (Fitzhenry & Whiteside, 2014), a "book of days" composed of 366 short paragraphs of nature writing, this new book published by Gaspereau Press is made of 50 long, exploratory, digressive journal entries all originally drafted outdoors by various bodies of water — rivers, brooks, lakes, ponds, marshes, waterfalls, bays. 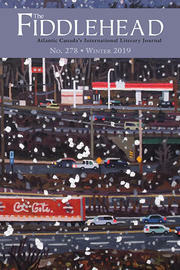 The author interweaves immediate impressions of his surroundings (nature in all its dazzling diversity) with memories, critiques & speculations. The act of sitting still is celebrated, as are the acts of walking & wandering. The book is beautifully designed & produced by Gaspereau Press.